What’s up, new users? Badorties here. 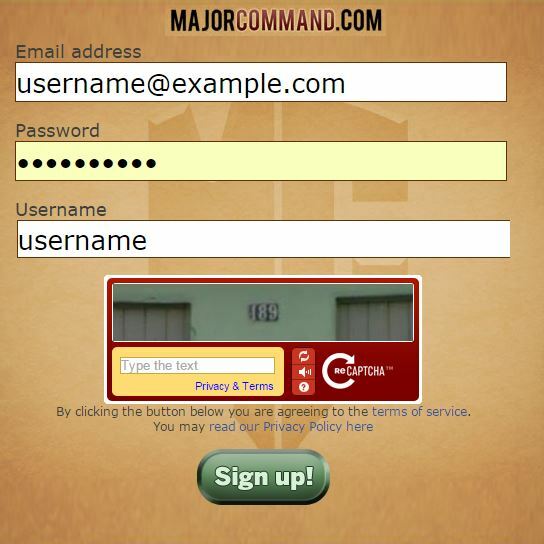 Welcome to Major Command. If you’re looking at this screen right now, you’re probably a new player. You should probably read at least this first page – lots of good information there. But you’ll also probably want to get into a game pretty quickly so I’m going to show you how to new users sign up to Major Command Risk. The first thing you want to do is you want to go up to your “Games” tab right here and click on this. This page is your hub of activity of games here. You’re probably going to be there a lot. You can start joining games as you can see which games you’re in, et cetera. There are really two types of games here. There are lots of variants with all the rules and such, but there’re two main types – casual and real time. Most new players are looking to join real time games because that’s what they’re used to and that’s what they’ve seen before, but that’s really only because they don’t know how awesome casual games could be. I am totally a casual player, I rarely play real time. 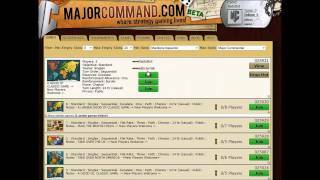 If you want to learn how to get into a real time game, then click this link right here. Right now I’m just going to walk you through joining a bunch of casual games. Right now you just want to click the green “Join” button and here we are. 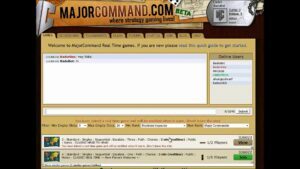 We’re presented with a list of all the open games available here at Major Command. There are lots of different maps, different types of rules. If you click on any of these, you’ll see a breakdown of what their rules are and who’s in them, et cetera. There’re a few games here that say are for experienced players. You probably don’t want to get into those just yet. In fact, you actually can’t until you play a little bit more just because the rules are a little harder. But what you want to pay attention to is this first five or six games. They say “New Player Welcome,” their basic settings, these games will fill fast. You have your best shot at taking a point off people with these games. What you want to do to join a game is just find one you want to join and just click the green “Join” button. “Join” will change to “View” which means you’re in the game. You can also click it and see who else is in there. I’m in there with some other guy. But the great thing about casual games is that you can be in more than one game at the same time. 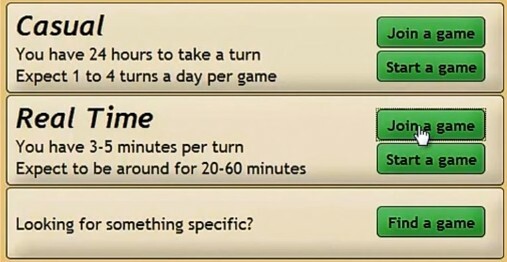 Generally I’m in between 10 and 15 games at the same time and it doesn’t really take up a lot of time, and I can choose when I want to take my turns. To maximize the number of turns you can take, you should probably join a few different games. I’m just going to join a few more games here like this one and this one on a British Isles map, and this one on our USA map which is pretty sweet. Once you’re in four games, it will say, “Based on your class, you have reached the maximum number of games you can join.” New players and grunts can only do four at a time which should be fine to get you started. After that, you want to click your “Games” page, and then if you click on “Awaiting,” you’ll see all the games that you are in here. You can drop out or continue. That’s really all you have to do. We will email you when it’s your turn. You can log in and take your turn, you can do it whenever you like – with breakfast, during class, whatever you want to do and that’s how it works. Each player gets 24 hours, the games will likely take days, or weeks, sometimes months, which may sound like it’s ridiculously long but it’s low-maintenance, it’s great casual strategy gaming. Once you get into it, you’ll love it and I encourage you to give it a shot. So that’s how new users get into a game at Major Command Risk. We’ll put out a few more links here in terms of actual playing the interface, what else you can do here and also again, about joining real time games. Good luck out there and have fun.